These unique features form when lava engulfs a stand of trees. 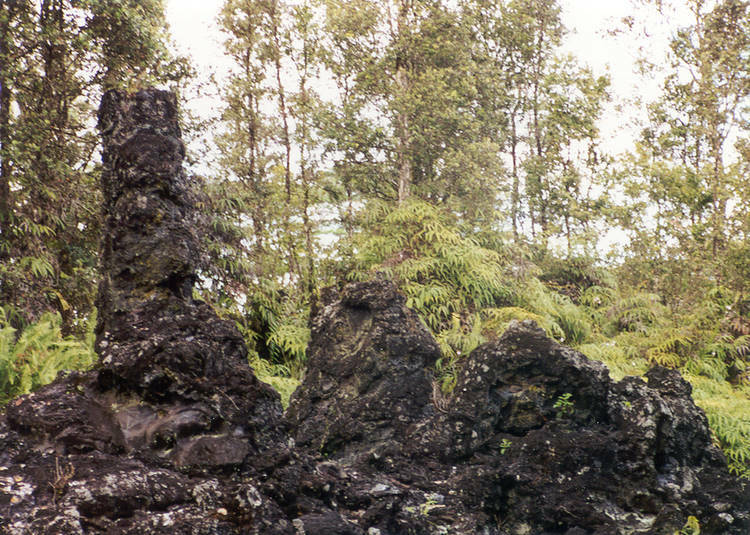 The trees are cold compared to the lava so a crust of rock quickly forms around the trunk. Then, when the thickest part of the flow passes the trees, the cooled part begins to stand out above the remaining flow. Of course, the tree burns because of the heat so the lava that is left is hollow.